The WEIBLING INSURANCE AGENCY of Naples Florida provides a comprehensive website for your individual and small group health insurance needs. 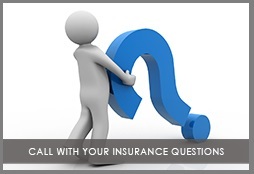 We offer FREE instant online insurance quotes and applications from major health insurance carriers. The internet has made shopping for insurance easier. Instead of driving around town to meet with an agent you can compare rates, benefits, and apply online. Some insurance companies even let you apply right from their website. Agents are insurance experts. It is our job to help you shop plans from leading carriers so you can be confident you have found the best rates and benefits for your individual needs. Agents guide you through the process. Buying an insurance policy can be complicated. An agent walks you through each step of the process and helps you make sense of all the insurance terminology. Agents offer you choice. Your agent has a portolio of plans to choose from, often from multiple companies. Your agent will know which policy will protect you the best. They will even know which company is most likely to accept your application. Agents troubleshoot mistakes. A mistake on your application can cause a company to raise your rates or even reject your application. Your agent will help you fill out your application correctly to get you the rates you deserve. It's free. This is the best part about getting insurance through an agent. Agents collect payment from the companies they represent. So you get all the advice you want - absolutely free. Tom Weibling has been a licensed independent insurance agent since 1969 when he joined the Weibling Insurance Agency in Youngstown, Ohio. The agency was founded by his grandfather Merril Weibling in the 1920's. His father Paul Weibling joined the agency after the end of World War II after serving as a pilot in the Navy. Tom Weibling, LUTC has a Bachelor of Science in Business Administration from Youngstown State University majoring in Financial Mangement and Economics. Tom Weibling's Florida License number is A280100 and is a member of the National Association of Professional Agents. He is married to MJ Weibling a retired teacher with Collier County Public Schools and she is the School Coordinator for Special Olympics Collier County. Tom and MJ proudly support Special Olympics and volunteer at their sporting events.